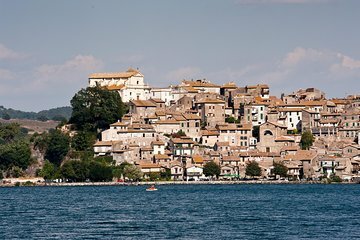 Escape the hustle of the city and explore the Roman countryside on this guided, full-day trip from Rome to the crystal clear waters of Lake Bracciano. As the second largest lake in the region, Lake Bracciano is also one of Italy’s most popular. Enjoy the beautiful shoreline and surrounding towns of Bracciano, Anguillara, and Trevignano Romano—a day of discovering the region’s history, art, and nature.